Happy Saturday! 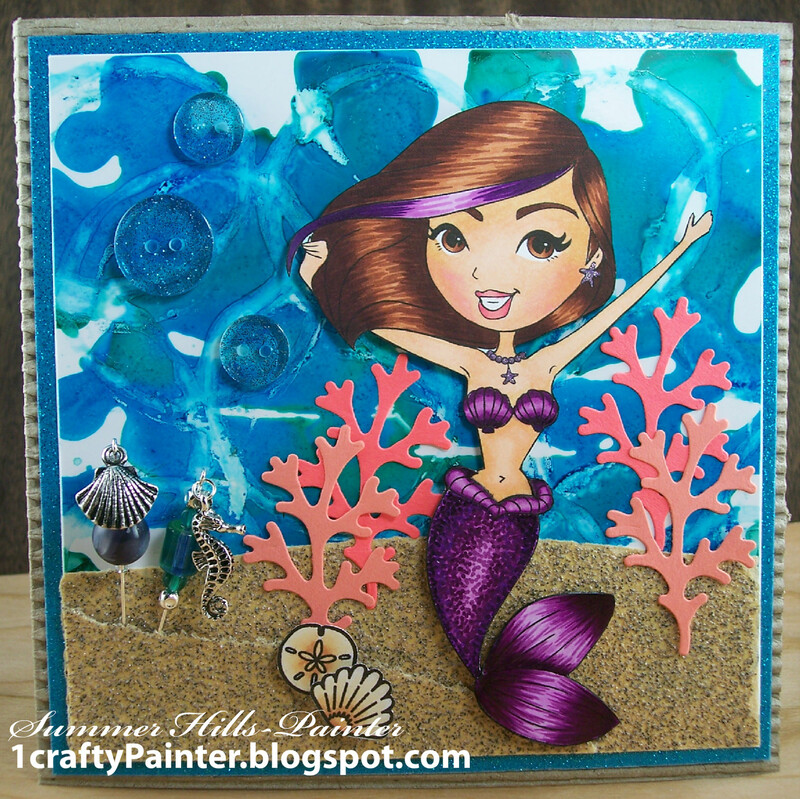 Today I am sharing a card with you using Mermaid Mandy from Sassy Studio Designs. She has been colored with my Spectrum Noir markers. The technique for coloring her tail was inspired by a coloring done by Alyce Keegan. Hello everyone! 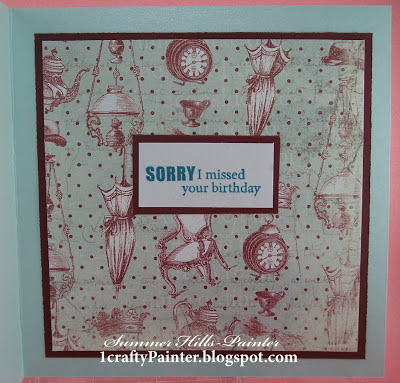 Today I am sharing with you a card made with the Prince Charming image from Crafters Companion. I have colored the image with my Spectrum Noir markers. The background paper is from Disney. I love this image. 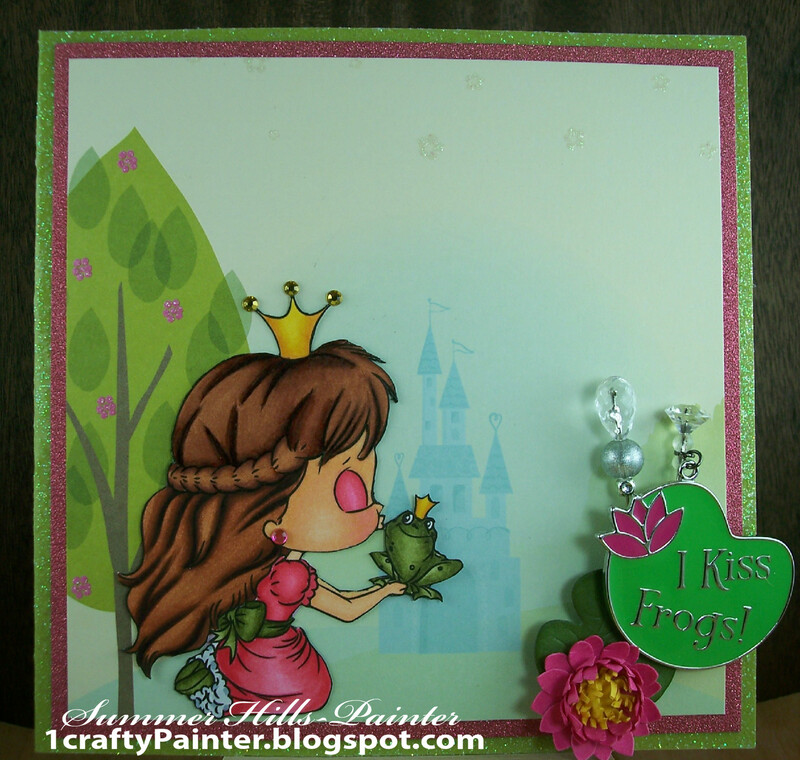 The charm is from the Fairy Tale collection from Hobby Lobby. The flower was made with the Lotus Die from La-La Land crafts. Today is a very special day. We are hopping along to celebrate Rio's birthday. 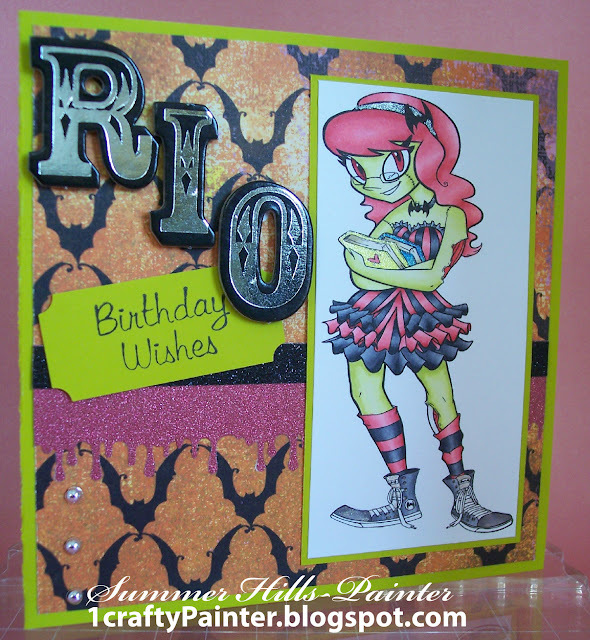 Rio is the daughter of Betty Roberts of Simply Betty Stamps. For those of you who are hopping, you should have arrived via Sharette and for those of you just starting out, please look at all the amazing works created to celebrate this special occassion. Here is a card made just for this occassion. Thanks for stopping by! And once again, HAPPY BIRTHDAY RIO! Hello everyone!! 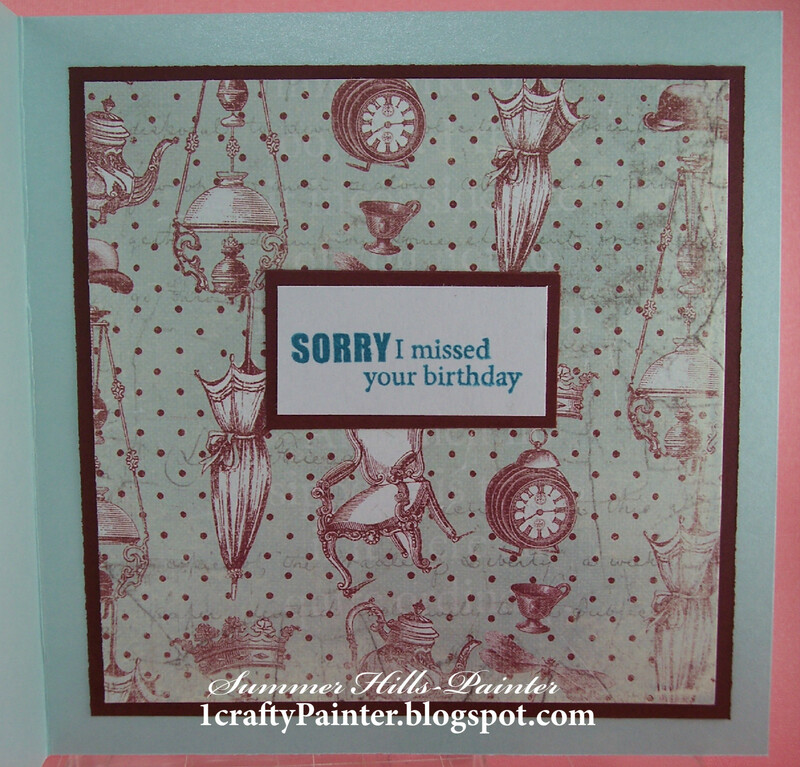 Today I am sharing a belated birthday card with you. 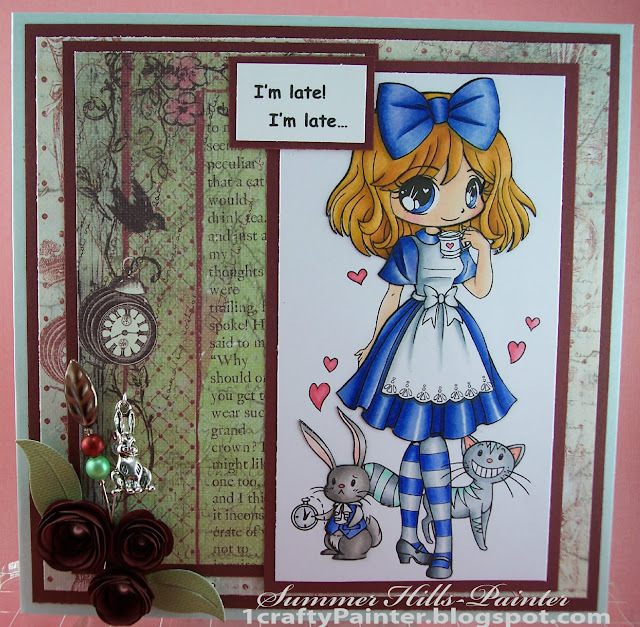 The image is from Alicia's Little Shop and this is the Alice In Wonderland digital image. The image has been colored with my Spectrum Noir markers. Here is the inside of the card. Thanks for taking the time to stop by... check back tomorrow for a special blog post. Today I am bringing to you a card I made for a valentine swap. This is Sweetheart Marci from La-La Land crafts. I have colored her with my Spectrum Noir markers.